Normally I’m a wool girl. Alpaca blends? A little cashmere? Some fuzzy angora? Sure! 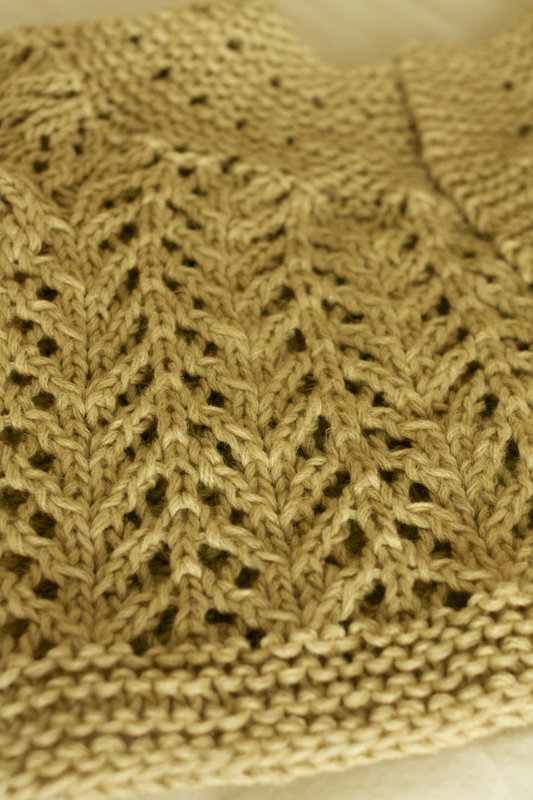 It’s not a rule set in stone but mostly I stick to an old classic: wool. I thought I was pretty clear with myself on this issue, I rarely feel compelled to go with a cotton, and even more rarely an acrylic. 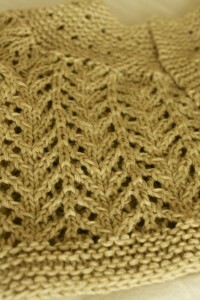 Lately though I find myself eyeballing all the new spring yarns with thoughts of light spring/summer knits. 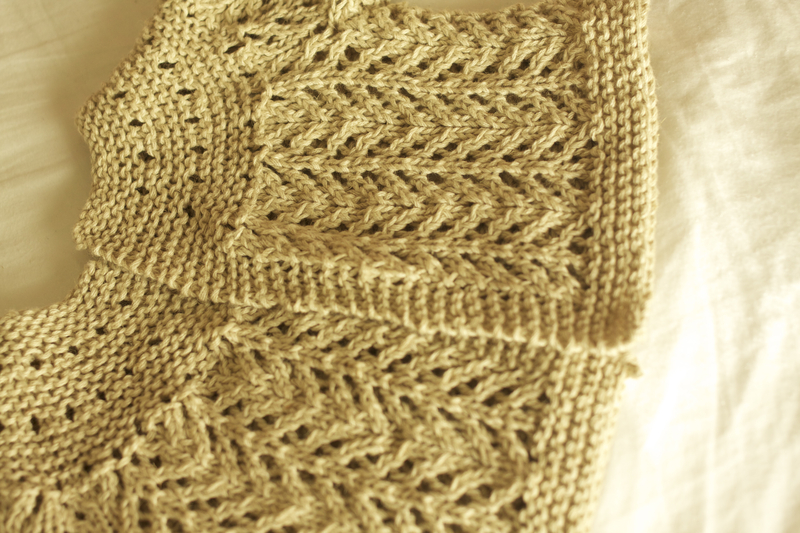 My first foray into other forays this season is a little garment I’ve certainly made before, Elizabeth Zimmerman’s February Baby Sweater. 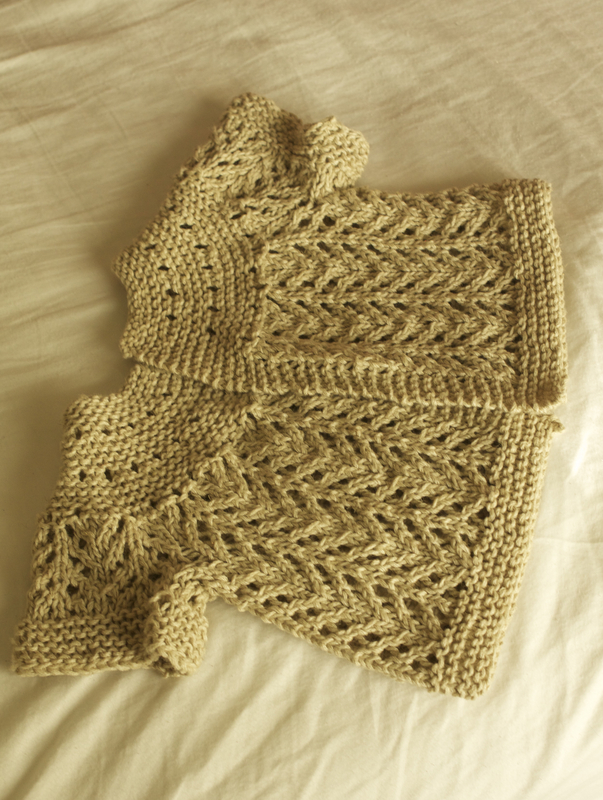 I made one before Hunter was born in a bright yellow wool but this time I decided to go with a cotton linen blend in a lovely neutral shade. 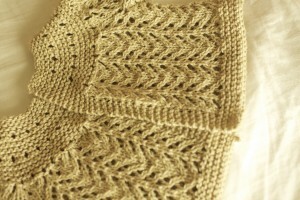 It came out super cute and looking like an heirloom right off the needles. This entry was posted on Wednesday, February 22nd, 2012 at 10:19 pm	and is filed under Uncategorized. You can follow any responses to this entry through the RSS 2.0 feed. Both comments and pings are currently closed.